For these laser profile scanners, special sensor configuration, data display and output applications are available. The software is available free of charge for each product series. 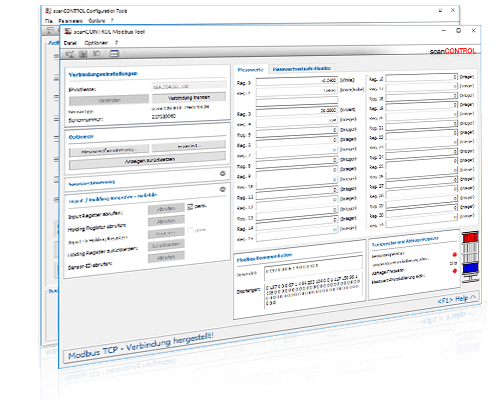 scanCONTROL Configuration Tools can solve a variety of applications. Variables such as step, gap, height, angle and flushness are thus easily measured, calculated and output. For 3D visualization of the recorded profiles, scanCONTROL 3D-View is used. This software enables to export the recorded data in various 3D formats. 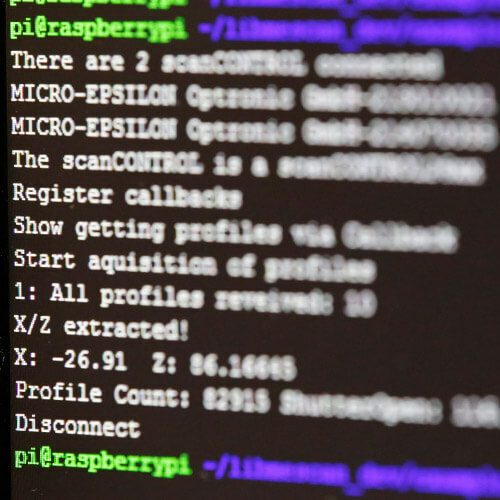 For users or integrators who prefer to connect to their own system, Micro-Epsilon provides development tools for various programming languages. Supplementary tools help to test e.g. if the measurement data output is functioning.